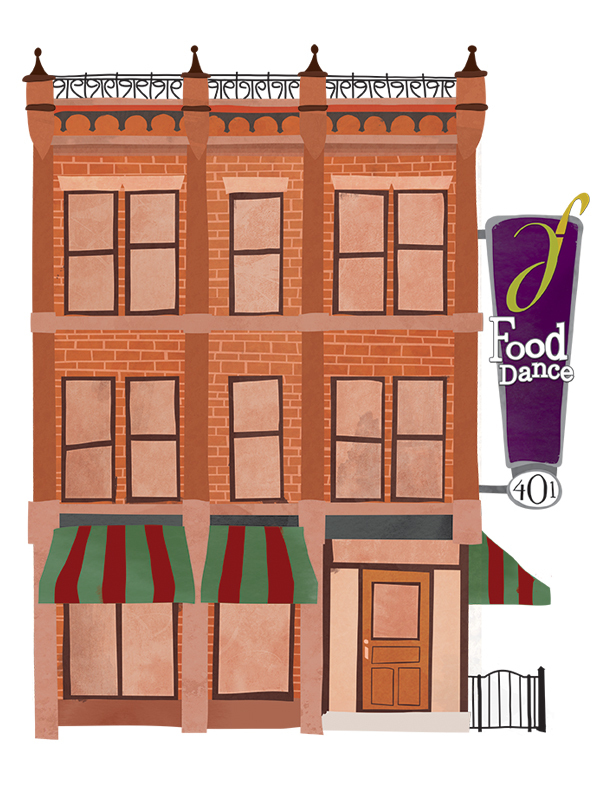 Recently, while designing packaging for Food Dance in Kalamazoo, MI, we found ourselves wishing we had a nice illustration of their beautiful building to use on our new designs. So one of our designers, Hugh Little, put this illustration together. Look for it on their coffee bags and in their market.